It's happening again, and just like last time, you can't understand why. You know that business has picked up, every night your bar or restaurant is packed to capacity. In fact, truth be told, business has never been better. So why is it, that profits are only slightly up, flat, or even declining. What in the world is going on? If you had our security camera systems installed, you would know why, and you would know immediately, all through a simple internet connected application. Even if your small business has multiple locations, you could have everything connected, with no additional charge. Employee Theft: Drinks, Food, and MONEY!!! It is estimated that upwards of seventy-five percent of bar and restaurant employees steal from their employers. The National Restaurant Association points out surveys, wherein employees self admittedly, acknowledge such theft. Many employees admit to not only one-time incidences of theft but multiple and ongoing occurrences. Be it drinks or food, or money, theft is theft, and it can and will affect the bottom line. Bars and restaurants operate on notoriously thin profit margins, even a 5-6% loss by theft can be devastating. If your SMB has multiple locations, the risk to your bottom line increases exponentially! Installing bar security cameras or restaurant security cameras is the best way to avoid such losses. As an owner of a bar or restaurant, one of the worst feelings can be arriving to work only to discover that there was a break-in while your establishment was closed. Even if you had an alarm system in place, without bar security cameras or restaurant security cameras in place, you would be unable to offer the police much evidence of the perpetrator(s) identities. An alarm system will only tell what time the system was triggered, without providing any visual evidence which could later be used to prosecute the offender(s). Bars and restaurants, unlike many other businesses, tend to have an abundance of cash present on the premises. It's not only the cash in the registers, it's also the cash and property that their customers maintain on their person. Robbers are very aware of these facts and as such target bars and restaurants with regularity. 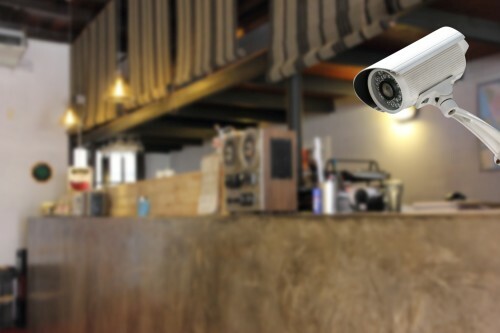 While bar security cameras or restaurant security cameras cannot stop such robberies, they can be a deterrent as well as a silent witness, providing police with invaluable evidence. Vandalism is one more area in which security cameras can be useful for your small business. Whether it is teenagers spray painting walls and breaking windows, or more seriously someone setting or attempting to set your business ablaze, a properly and professionally installed camera system can be a deterrent or provide valuable evidence for the authorities. Contact Camera Security Now today to discuss options for your small business. Our security camera systems can easily be installed at one or more locations, with no need for multiple accounts or contracts. Once installed, you will be able to monitor everything from one internet connected application. 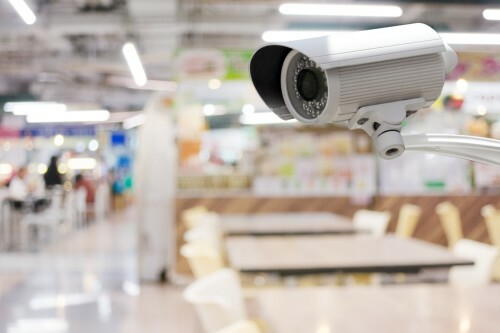 For information on how your smb could benefit from having a business security camera system installed, contact us immediately and let us show you.